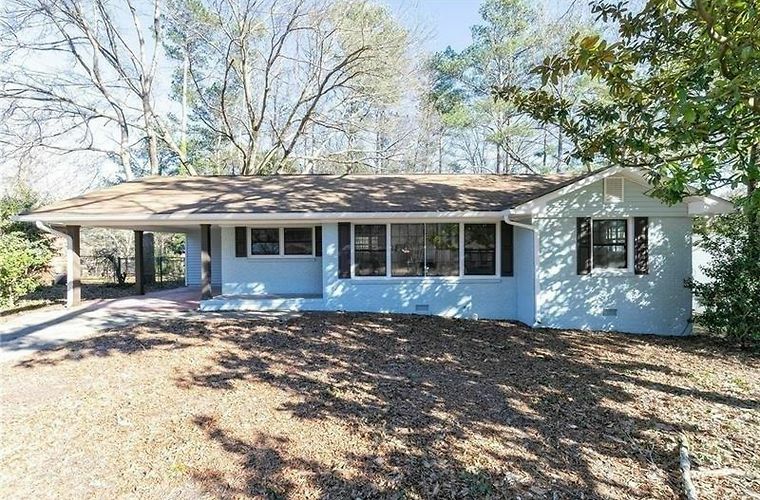 4-sided brick ranch, Historic Marietta. Completely renovated Kitchen and baths! Large laundry room, Walk in Master closet, double vanities in both full baths and BRAND NEW KITCHEN complete with new cabinetry and quartz counter tops are just a few of the items that set this home a part. From the moment you enter, the open concept floorplan is breathtaking with tons of natural light, a formal study, a formal dining room and 3 LARGE bedrooms with 2 full baths and one half bath off the kitchen. Home is larger than it looks from photos. Walk out crawl space for storage.